Poker Online. Poker Arena. 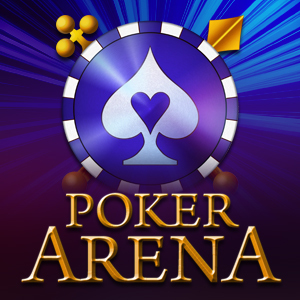 Card Game POKER ARENA is an online card game. Get your full house in online casino! Play poker for free–try new Texas Hold’Em! Play poker with your friends from social networks! Epic update! 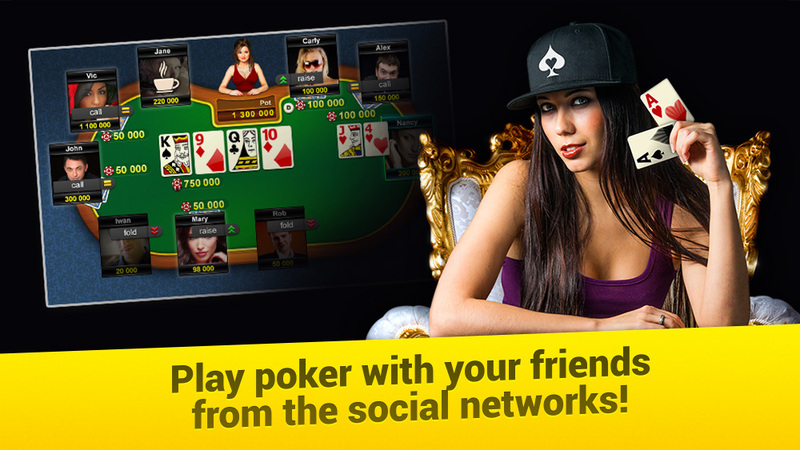 Now you can play poker with your friends from social networks! Join them at the poker table and compete with them for a higher ranking. Here’s your chance to invite friends from Facebook. What’s more, we’ve improved the game and fixed some bugs. We are working hard so you’d be comfortable in our game, because we love poker as much as you do! And just to make sure of that we are happy to get your wishes and comments via built-in feedback form: Settings => Help => Report abuse. We will be really grateful if you rate our game. Your feedback is extremely important to us. Thank you for staying with us! Install it on your iOS and Android! Texas Hold'Em is one of the most popular types of poker games. The rules are so simple you can learn them in a few minutes. You can always play with real people anytime, day or night. All you need is your tablet or smartphone with an internet connection!